16 x 16 x 35 in. 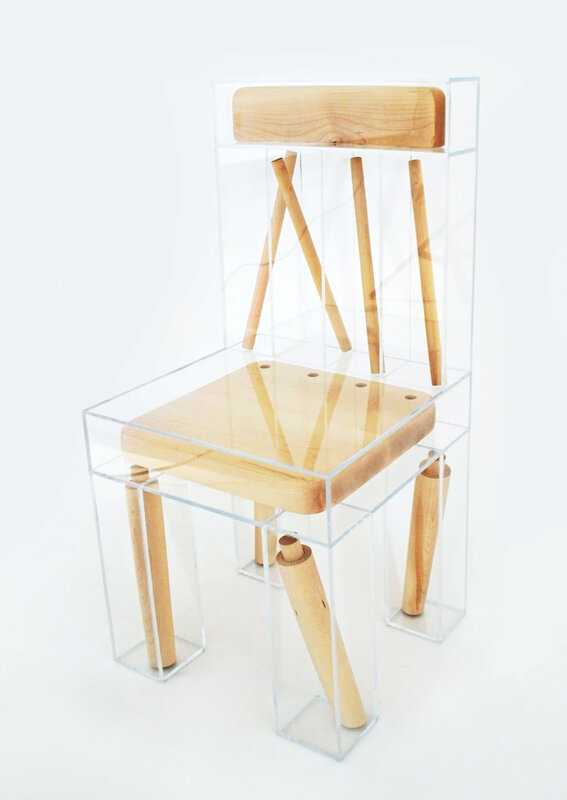 I made parts of a wooden spindle chair and encased them in clear acrylic. 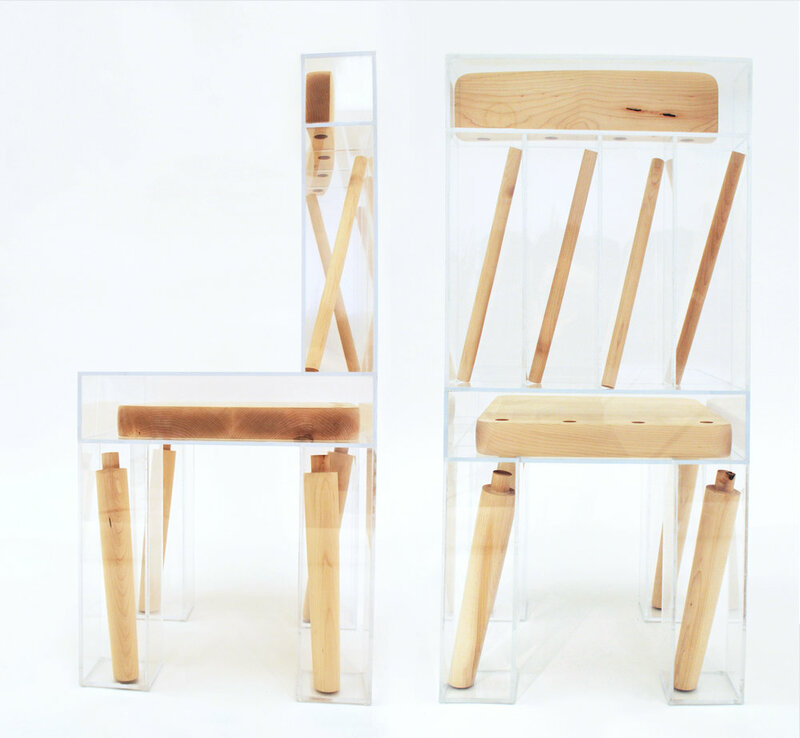 The parts are loose in their compartments, allowing them to shift around when the chair is moved. 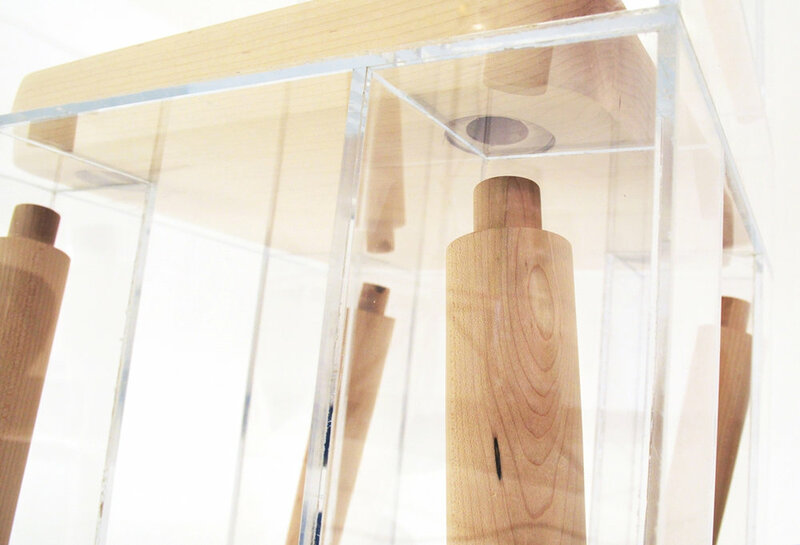 This emphasizes both the joinery of the parts and the form as a whole, embodying a state of both connection and disconnection. The title is a reference to exploded view diagrams.